For book club this month I’ve chosen the intensely thrilling The Woman in the Window by A. J. Finn. When I first read the blurb I immediately thought of Alfred Hitchcock’s Rear Window. I knew that if it was written well it would be a page-turner and I wasn’t disappointed! If you love your thrillers then this is a must-read! Over the last 6 months, I spent a lot of my time with a professional pantomime company, at PwC, in the cast of Sleeping Beauty 2019. This was a very special experience for me as I’ve always dreamed of performing in the West End but never did I think that would come true! So as we pack away the glitter and costumes for another year I wanted to share my experience with you. We all recognise the importance of looking after our own health and wellbeing. In my mind, a core part of this is taking time off to relax and escape. Last week whilst I was on holiday in Malta, I truly switched off and had time to reflect. In this blog post I share 3 lessons I learned in the process. Easter is around the corner – hello long weekend – and what better way to spend it than with a good book! This month’s book club pick is the latest novel by Mel McGrath, The Guilty Party. Lessons from day 2 of Advertising Week Europe 2019. For me, day 2 was all about female empowerment and learning about some completely new areas such as the gaming industry. Read on to find out how the day went. This week I’m attending Advertising Week Europe in London and will be sharing a round-up of the key themes I’m hearing each day. Here’s what went down on day 1. This month’s book club pick has landed! I’ve reverted back to fiction to bring you the latest release from author Jane Fallon, Tell me a secret. Jane is a fantastic author who has written many novels with one thing in common … revenge and this is no exception. Enjoy lovelies and let me know what you think! Before Christmas, I made an exciting announcement that I have been chosen to join the Founding 50, a group of 50 marketers aged under 30 who are passionate about inspiring the next generation of talent in our industry. We kicked things off last week with our first meet up at Ogilvy UK in London and it was so exciting to meet my fellow founding 50 and discuss our ideas and plans to take this initiative forward. I wanted to share a little more information about this and why I think it’s perfect timing for the future of our industry. I’m so excited to be continuing with my monthly book club recommendations and to kick off the new year I’ve picked a very inspirational, important and timely book by the brilliant Mary Portas. This month’s choice is Work Like a Woman, A manifesto for change. 2018 is almost over, the Christmas decorations are being packed away in boxes and I’m recovering from eating and drinking far too much over the holidays. But before I welcome in the new year with friends and family, I like to spend some time reflecting on how my year has gone, what lessons I’ve learned and what I want to achieve going forward so that I start the new year on the right foot. So, here’s my year in summary. It’s officially December and the countdown to Christmas is on! I’ve spent my weekend in and out of the shops looking for the perfect Christmas gifts for my loved ones. Which brings me on to book club for December. This month is a little different as I didn’t choose the book per say, it was a surprise! Introducing Blind date with a book. A new book delivery can only mean one thing … it’s time for a new book club read! I’m excited to say that I’m back to reading hardcopy and this month’s pick is Nine Perfect Strangers by the bestselling author Liane Moriarty! 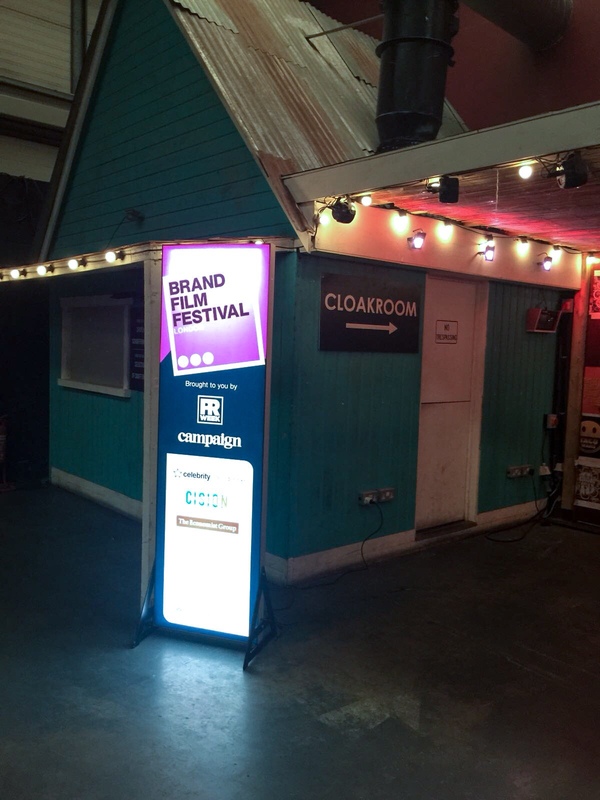 Earlier this year I attended The Brand Film Festival, a day conference dedicated to celebrating the best in branded video content with an awards ceremony in the evening. This, paired with my understanding of the changing video marketing landscape, has inspired me to write this post. This month I’ve changed up my reading pattern by switching to audio books. This month’s recommendation for book club is Kevin Hart’s memoir, I Can’t Make This Up: Life Lessons. Last week I travelled to our Leeds office with a few colleagues for a team meeting. We wanted to trial a new idea to bring our marketing teams from London and the regions closer together, and to soften the expectations that everything happens in London. This made me think about the key ingredients of a successful team meeting and I want to share my formula. Read this post for more!